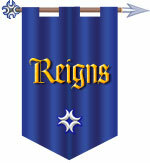 On this site you will find tales, pictures, and references to the history of the Laurel Kingdom of Caid. Born out of the "Four Baronies in the South" of the Kingdom of the West, we have grown to noble size since over the past years, and would share the glory of that history with you. Some of these are our legacy from the Kingdom of the West, and others more recent. We are trying constantly to update and improve the collection, so, if you have something to add, whether picture, account, article, or "No ____, There I Was" story, please send your contribution to Baroness Catherine Hawkwod at . Attributions have been given everywhere we have them, but if you find something improperly attributed, please let us know. Many thanks to Master Hirsch von Henford in the Kingdom of the West for his kind permission to use material from the West Kingdom History site that has to do with Caid's early years. Pictures: Thanks to Mistress Joan of Crawfordsmuir for 5 albums of photos and counting, Baroness Iseabeau Eaglestone of Glinwood for many, many pictures, of coronations and other events, Baron Jason Thomas the Wanderer and Baroness Morgaine FitzStephen, Baroness Eowyn Amberdrake, Maestra Berengere d'Acre, Countess Troy of Nodham Whyre, THL Allan Bluehood, Duke Armand de Sevingy, Lady Maren of Kilbride, and two ladies who live on in our hearts, THL Eyana bat David and Duchess Kolfinna kottr. If you would like to contribute photos, please contact Duchess Natalya de Foix at . Other Production: Lady Ursula Messerschmitt for event and awards lists, HTML duties and file cleanup. At the first "Old Timer's" Tourney in Altavia (AS XXXVII), several of us started going through books of images compiled by Master Aldred, and asking people to help us identify faces long-forgotten. To that task bent Mistress Flavia Beatrice Carmigniani, Mistress Mary Taran of Glastonbury, Duchess Natalya de Foix, Count Balin of Tor, Duchess Carol of Bellatrix and several others. Further "review" sessions of several people's collections are upcoming with new and exciting archives being "discovered" all the time!